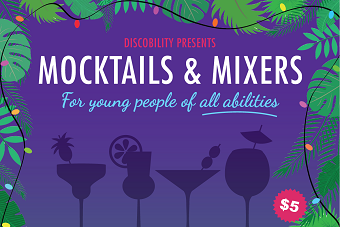 Ku-ring-gai Youth Services invite people with special needs to attend our Mocktails and Mixers social event for 18-30 year olds. Join us for a night of laughter, celebration and new friendships! Finger food and mocktails provided. Carers, friends and family welcome! Cost: No entry fee for carers, friends and family however please specify when booking. For further information, please contact youth@kmc.nsw.gov.au or call 9424 0994.